I like doing my own maintenance on my bikes. So i'm looking for the shop manual for xr. Anyone knows where we can find it? I've used it several times and it has always been a great help. oh thanks guys....found 2 i will definitely get one. 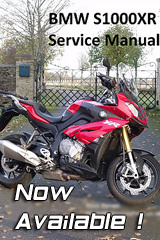 Couldn't find the Workshop manual for S1000XR on www.manualslib.com but I have bought the Haynes Manual from UK which just arrived and its very good (IMHO). Haynes have only just released the manual in late December. It covers the RR, R and XR models. I should point out that this is not a full workshop Manual, but covers most home repair and maintenance work, and should not be taken as a full service Manual. Was hesitating between the haynes one and this one. To me, the cost is comparable to the Haynes, which may go into further detail. Can it be translated into English? He uses words like tyre and spanner. What is that?